Specialising in placing graduates in sales & recruitment roles within media, IT, finance and property; we are a young and innovative organisation boasting an impeccable record in our field. Only sourcing the most competent and ambitious graduates for the UK's market leaders, our selection process is vigorous and effective but fair. 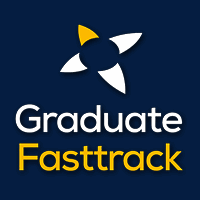 Graduates who become ‘fast tracked’ after selection have the privilege of featuring on our books, where they will have unprecedented access to all of our clients.